Amitai Etzioni recently published an article outlining his liberal communitarian approach to balancing press freedom with national security, and criticising the publication of Edward Snowden’s NSA revelations. In this short interview, I ask him to outline his concept of communitarianism, his communitarian approach to values such as press freedom, privacy and national security, as well as his criticisms of the Snowden affair. Simon Dawes: You’re widely known for your communitarian approach, which you developed in reaction to the self-interestedness you diagnosed in American society in the 1980s. But communitarianism is about more than altruism, isn’t it? Amitai Etzioni: We must continue to move away from pure self-interest and toward the common good. Communitarianism refers to investing time and energy in relations with the other, including family, friends and members of one’s community. The term also encompasses service to the common good, such as volunteering, national service, and politics. Communitarian life is not centered around altruism but around mutuality, in the sense that deeper and thicker involvement with the other is rewarding to both the recipient and the giver. Indeed, numerous studies show that communitarian pursuits breed deep contentment. A study of 50-year-old men shows that those with friendships are far less likely to experience heart disease. Another shows that life satisfaction in older adults is higher for those who participate in community service. Simon Dawes: I’ve been particularly interested in your work on privacy (and the need to balance privacy with other values). Could you briefly outline the communitarian approach to balancing individual rights with the common good, and, more specifically, privacy with national security? And how does this approach differ from the more familiar liberal approach to reconciling these values? Amitai Etzioni: A liberal communitarian philosophy assumes that nations face several fully legitimate normative and legal claims and that these claims can be neither maximized nor fully reconciled, as there is an inevitable tension among them. It follows that some balance must be worked out among the conflicting claims of security and privacy rather than assuming that one will always trump the others. In contrast to this balancing approach, contemporary liberals emphasize individual rights and autonomy over societal formulations of the common good.And at the opposite end of the spectrum, authoritarian communitarians (mainly in East Asia) privilege the common good a priori and pay mind to rights mainly to the extent that they serve the rulers’ aims. The Fourth Amendment text provides a strong expression of the liberal communitarian philosophy, which is particularly relevant to privacy. It states that “[t]he right of the people to be secure in their persons, houses, papers, and effects, against unreasonable searches and seizures, shall not be violated.” By banning only unreasonable searches and seizures, it recognizes, by extension, that there are reasonable ones, namely those that serve the common good or, to use a term more familiar to the legal community, the public interest. Liberal communitarianism is based upon the same fundamental premise. When it comes to the give and take over what qualifies as legitimate public policy, liberal communitarianism starts with the assumption that the public’s right to privacy must be balanced with concern for national security (and public health, among other common goods) rather than from the position that any breach of privacy contravenes an inviolable basic right. Simon Dawes: You’ve also recently started to write about the balancing of press freedom with national security. In a recent article, for instance, you discuss the legal and philosophical fallout from the publication of Edward Snowden’s NSA revelations, and criticise those newspapers concerned for having harmed American national security. But shouldn’t Snowden be praised (and protected) for having brought the scale and scope of this state surveillance to the world’s attention? And weren’t the New York Times and The Guardian etc. right to print what they did? Amitai Etzioni: Edward Snowden has caused real harm to US intelligence efforts. One reason it took the United States nearly 10 years to find Osama bin Laden was that a newspaper published the fact that the United States was listening in on his phone calls to his mother and was thus able to guess his whereabouts. Bin Laden gave his phone to an underling, who traveled north — with the United States in hot pursuit — while bin Laden traveled south and slipped into Pakistan. After that, he never used a cellphone. Until recently, most people — including, it seems, the mullahs of Iran — assumed that if their computers or networks were not connected to the Internet, they were free from surveillance. Almost one year ago, Edward Snowden revealed that the United States had found a way to tap into unconnected computers, and we lost a major way of keeping tabs on whether Iran is about to make nukes. After their names were published, CIA agents were shot and killed. Regarding The Guardian’s publication of leaked documents, we do need to further debate some basic questions: Are there materials that should not be published? Who decides what these are? And what is to be done with those whose agendas lead them to publish material that is harmful to the safety of the people? And what is to be done about those who stamp classified on material they find damaging to their reputation or political fortunes—but are otherwise harmless? Unfortunately, The Guardian’s editor, Alan Rusbridger, has not moved us an inch closer to answering these questions. But he has helped to undermine our security and that of many others, and he is not done. Dr. Etzioni served as the president of the American Sociological Association in 1994-95, and in 1989-90 was the founding president of the International Society for the Advancement of Socio-Economics. In 1990, he founded the Communitarian Network, a not-for-profit, non-partisan organization dedicated to shoring up the moral, social and political foundations of society. He was the editor of The Responsive Community: Rights and Responsibilities, the organization’s quarterly journal, from 1991-2004. In 1991, the press began referring to Dr. Etzioni as the “guru” of the communitarian movement. 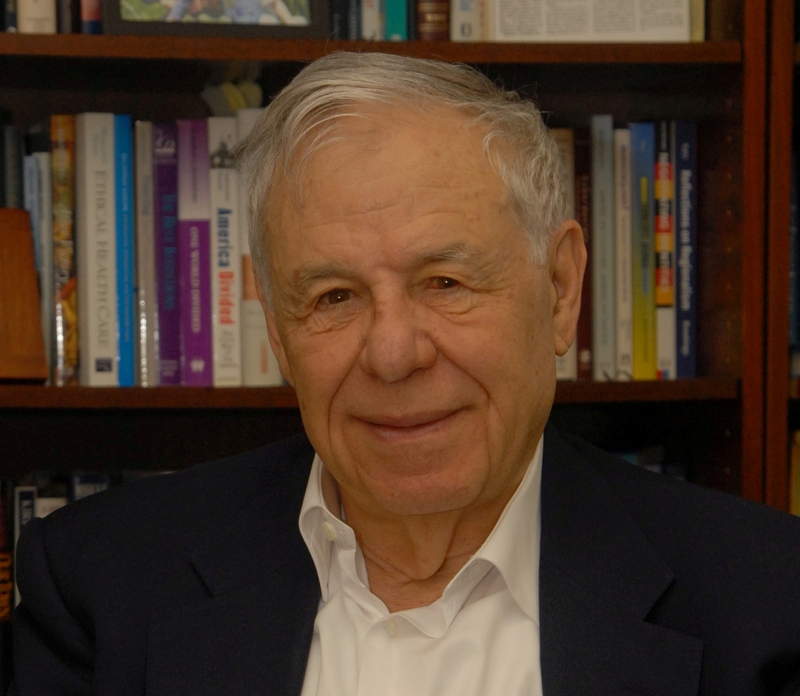 Dr. Etzioni is the author of twenty-four books, including The Monochrome Society (Princeton University Press, 2001); The Limits of Privacy (Basic Books, 1999); The New Golden Rule (Basic Books, 1996), which received the Simon Wiesenthal Center’s 1997 Tolerance Book Award; The Spirit of Community (Crown Books, 1993); and The Moral Dimension: Toward a New Economics (Free Press, 1988). His most recent books are My Brother’s Keeper: A Memoir and a Message (Rowman & Littlefield, 2003); From Empire to Community: A New Approach to International Relations (Palgrave Macmillan, 2004). * This interview came about because representatives of Amitai Etzioni contacted me in response to my article ‘Press Freedom, Privacy and the Public Sphere’ (open access version available here; official version here), in which I criticise liberal and communitarian approaches to privacy and press freedom, and to alert me to the publication of Etzioni’s own article.